Art Catalogues at LACMA (Los Angeles County Museum of Art) takes part at EYES ONLY. 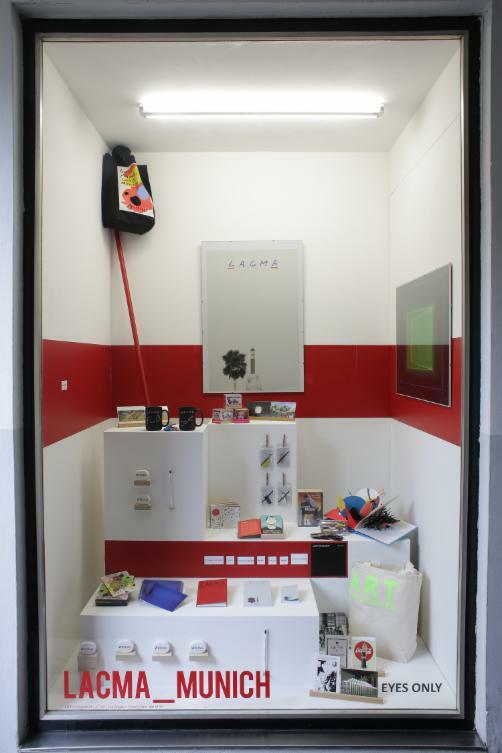 A storefront located in the center of Munich turns temporarily into a LACMA store and typical top sellers from the real LACMA store are exhibited. The Project LACMA_MUNICH is initiated by Munich based photographer Florian Holzherr, who is, on the basis of his profession, in close contact with the LACMA. With special thanks to Dagny Corcoran, of Art Catalogues at LACMA, for her support.